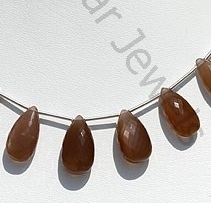 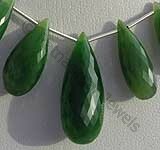 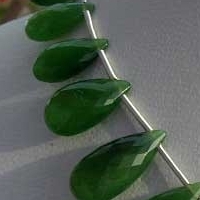 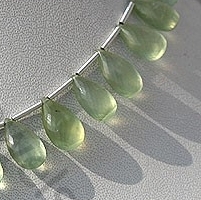 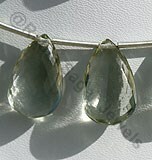 Looking for a unique shape for Nephrite Cats Eye gemstone then nothing looks better than flat pear briolettes. 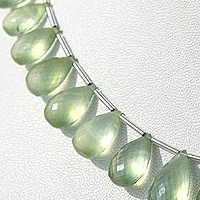 Visit our online store to look at Nephrite Cat’s Eye Flat Pear Briolette shape in array of colors like olive green, apple green, lime green, bottle green and grass green. 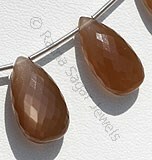 The flat pear briolette comes up as a classy choice for jewellery. 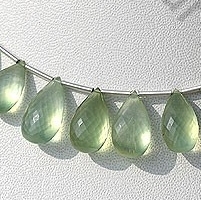 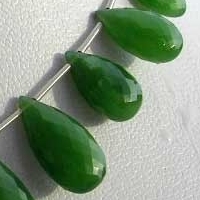 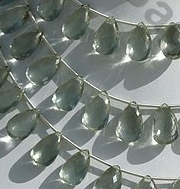 We offer you a huge collection of flat pear briolette shape in a variety of gemstone that includes Flat Pear Briolette Gemstone Beads, Prehnite Flat Pear Briolette Gemstone Beads, Ruby Flat Pear Briolette Gemstone Beads, Green Amethyst Flat Pear Briolette Gemstone Beads, and Rainbow Moonstone Flat Pear Briolette Beads. 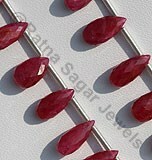 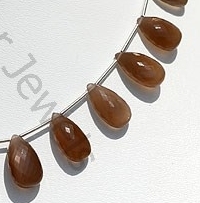 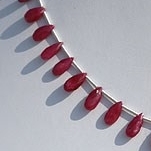 Go ahead and order the gemstone beads you like. 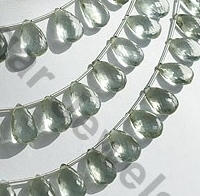 We offer it to you at unbelievable wholesale price. 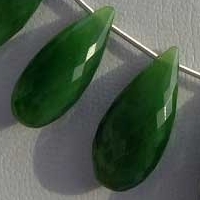 Natural Nephrite Gemstone possess property of opaque and are available in deep green color with cats eye in micro flower cut, Flat Pear Shape. 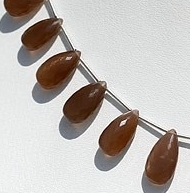 Natural Coffee Moonstone possess property of translucent and are available in Coffee Colour with silky sheen with Micro flower Cut, Flat Pear Briolette shape. 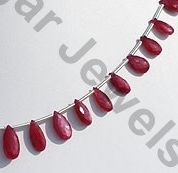 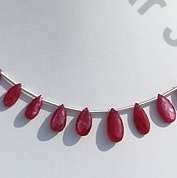 Natural Ruby is most famed and fabled red gemstone, possess property of translucent with vitreous to adamantine luster and are available in blood-red color with micro flower cut, Flat Pear Shape. 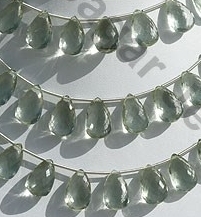 Green Amethyst is a variety of mineral quartz, which is heated to enhance color, transparent with vitreous luster in green color with micro flower cut, Flat Pear Shape.